Further evidence (if such were needed) that Sandra Bullock is the female equivalent of George Clooney (no really, think about it!) 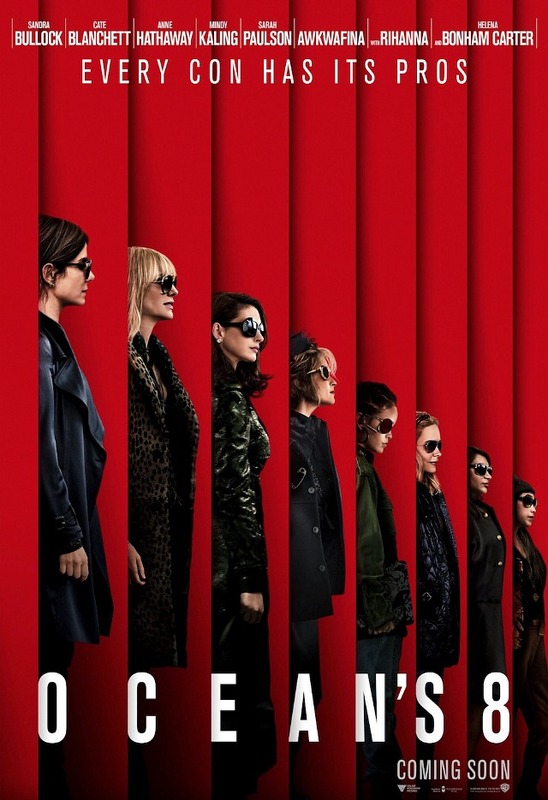 greets us in this first trailer for next summer’s Ocean’s spin-off, which now whittles the heist gang down to a far more manageable 8. Bullock’s all star cast of associates – Blanchett, Hathaway, Bonham Carter, Rhianna and more – is introduced in what looks like more of the same, equally fun. Gary Ross steps in for Soderbergh on megaphone duties.